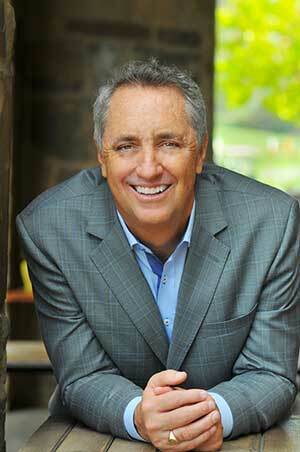 Author Rick Reilly shares his latest, transporting readers onto the golf course with President Trump, revealing the absurd ways in which he cheats and lies about his feats, and what those behaviors can tell us about the way he leads off the course in the most important job in the world. President Trump's commitment to fairness and the truth have been called into question with regularity, by everyone from leading Republicans to his former personal attorney to fuming customers of Trump Organization products. But as acclaimed sports journalist Rick Reilly reveals, Trump's ethics deficit is never more striking than when he plays golf, a game of honor with clear rules and longstanding traditions, many of which Trump flattens under his turbo-charged golf cart. Commander in Cheat: How Golf Explains Trump is a behind-the-scenes look at Trump's ethics deficit on and off the course. 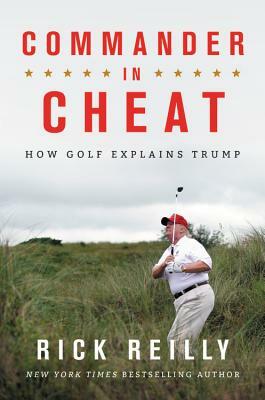 Written with Reilly's uniquely piercing humor and unmistakable voice, this book transports readers onto the golf course with President Trump, revealing the absurd ways in which he cheats and lies about his feats, and what those behaviors can tell us about the way he leads off the course in the most important job in the world. Reilly has been with Trump on the fairway, the green, and in the weeds, and has seen first-hand how the president golfs, which isn't pretty. Based on his personal experiences, and interviews with dozens of golf pros, amateurs, developers, partners, opponents, and even caddies who have first-hand experience with Trump on the course, Reilly offers a deep-reaching and often hilarious exposé of how Trump shamelessly cheats at golf, lies about it, sues over it, bullies with it, and profits off it. • The hilarious name the caddies at Winged Foot call him. • The time Hillary ruined Trump's rain suit at Winged Foot. • What he does with the can of spray paint at his Bedminster course. • The under-handed (but clever) way he "won" 18 club championships. • How he cheated a famous sports announcer on the course. • How he cheated in front of Tiger Woods, Dustin Johnson and Brad Faxon. • Why there is a pen of goats on the Bedminster course. Currently a screenwriter and author, RICK REILLY was a feature writer and back-page columnist at Sports Illustrated for 22 years and appeared on and wrote for ESPN. In addition to being voted the NSSA National Sportswriter of the Year eleven times, he has also been recognized with the Damon Runyon Award for Outstanding Contributions to Journalism. He has been lauded as "the closest thing sportswriting ever had to a rock star" (USA Today); "easily the most read sportswriter of his generation" (The Sherman Report); "one of the funniest humans on the planet" (New York Daily News); and "an indescribable amalgam of Dave Barry, Jim Murray, and Lewis Grizzard, with the timing of Jay Leno and the wit of Johnny Carson" (Publishers Weekly). Follow him @ReillyRick.